You can get a coupon that gives you $1.00 off Chock Full O’Nuts Coffee, but you must be a US resident to get this offer. 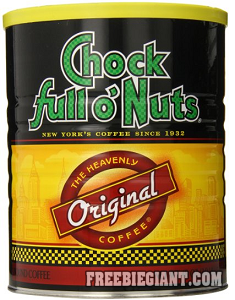 If you would like to get your $1.00 off Chock Full O’Nuts Coffee coupon, simply click here to print. You can only print one coupon per household and this coupon cannot be combined with other offers. Valid anywhere Chock F ull O’Nuts products are sold.